We produce C-channel ground posts in-house from heavy galvanized steel (or post-dipped galvanized, if required). Posts are pre-punched with only the hole configurations needed for your structure at your pitch. No guess work. No on-site adjusting. Tilt bracket and diagonal struts are attached with bolts in holes pre-punched for your requirements. 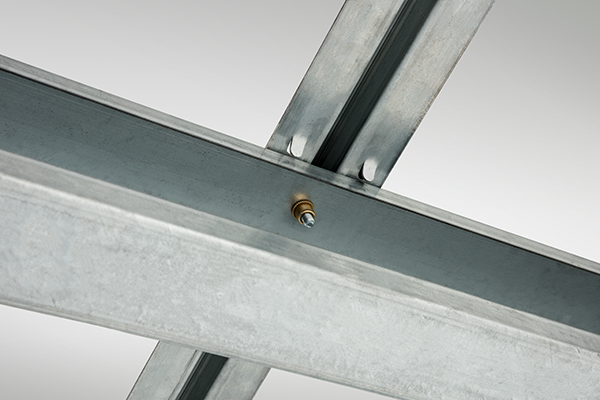 Holes for pre-assembled tilt bracket and diagonal struts at exact pitch requirements. East-West Beams are easily mounted. Custom raised tabs in the tilt bracket hold beams in place to speed placement of hardware. Only one set of hardware required to connect East-West Beam to Tilt Bracket. Holes are located exactly where needed. No confusion. No delays. Support beam tabs hold beam while hardware is installed. Hanging tabs on bottom of assembly latch on to top of East-West beam to support Mod Rail while installer aligns it with lower mounting hole. Both top and bottom of East-West beams arrive at jobsite with pre-threaded holes. Only two bolts required, one at each end. Mod Rails are Custom-built for each installation to maximize time savings. Panel clamps are pre-installed at factory, minimizing loose hardware and assuring proper spacing. 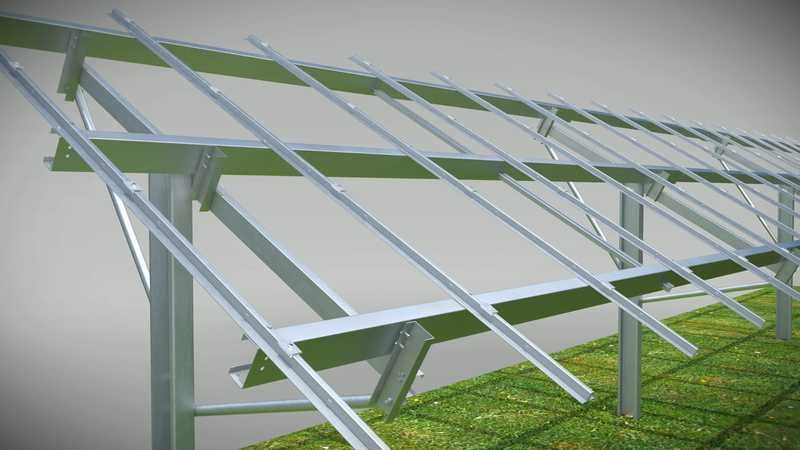 A two person crew can quickly and safely install solar modules from the low side of the array. 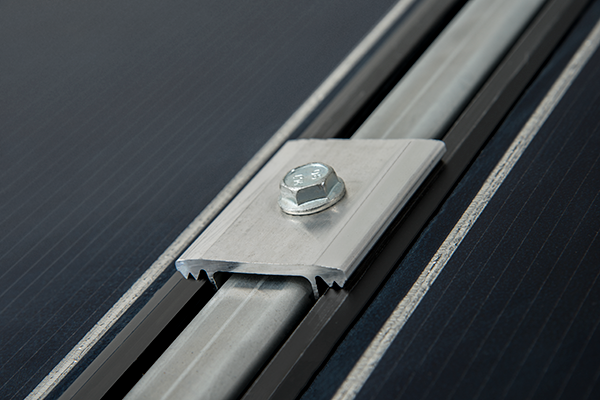 Slide and Stay Modules: Solar modules slide into place and are held in position with tabs as the next module is retrieved and installed. Increased Safety. No overhead lifting! Bottom module slides into place, pushing the other panels up into their final position. Bottom module is held in place by another tab at the bottom of the Mod Rail Assembly. 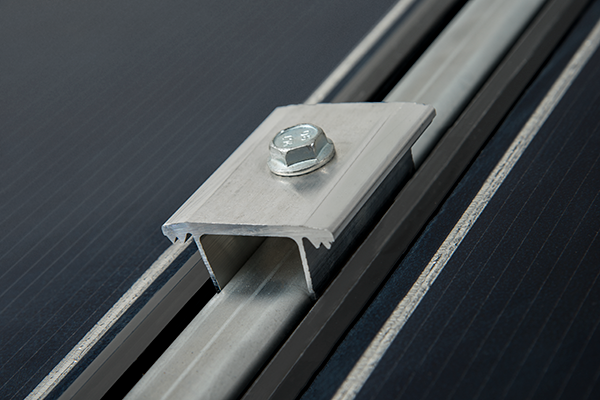 After solar panels are in place, the lowest clamp on Mod Rail Assembly is tightened from above. All other clamps are accessed from below. All solar panels are installed from ground level. Competitive advantage in pricing and customer support direct from a knowledgeable and experienced team. 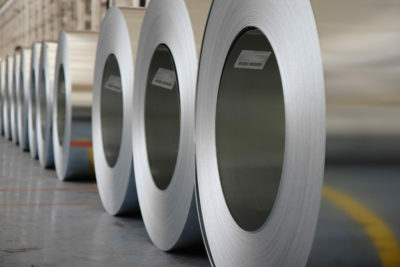 Unparalleled freight and lead time advantages. 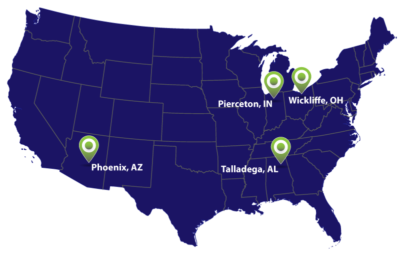 We can support job site – specific requirements through enhanced manufacturing capabilities. OMCO will travel to your office for a hands on experience of the Field-Fast Mounting System. The Roadshow trailer contains a demo rack that showcases the features and benefits of the Field-Fast mounting system. Demonstration offered anywhere in the continental United States. Call Ryan at 602-352-2700 for details and to schedule.